Alternative / downtempo / electro-pop. An 8-song glimpse of future and past, the Auralei EP includes 3 tracks from Artemis' upcoming full-length release Body of Glass, 3 remixes of songs from Gravity, and 2 new tracks exclusive to this release. Featuring collaborations with fellow Magnatune and RTFM artists Bobby Cochran, Daniel Berkman, and Michel Jordan, the EP explores some new territory for Artemis. "Auralei" and "Ella" are rich with washy guitars, live drums and dreamy production. "Easy" forays into downtempo dub laced with spacious sparkly guitar licks, and the Colfax remix of "Here and Now" is a dreamy analog dance mix with beautiful layered vocals. "Seven" is a darker, syncopated tribal rock piece featuring a call and response between spoken word and Eastern European-style soaring melodies. Artemis drummer Cliff Tune contributes his thumping breaks mix of a Sensor II remix of Lagoon graced with alien-pitched vocals. The Klangperle remix of Hypno is a beautiful late-night tech/house version of this deep and driving song. Daniel Durrett's Jimmy 2 Sticks glitchy ambient remix of Subterranean is a sneak peak at upcoming collaborations between Artemis and this talented newcomer to the gang. 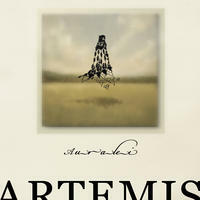 License Alternative / downtempo / electro-pop by Artemis for your project. Play the music of Artemis in your restaurant or store.